The 1969 film By the Lake (“У озера”) was directed by Sergey Gerasimov, one of the more talented and interesting loyal-to-the-regime directors of the Soviet period. 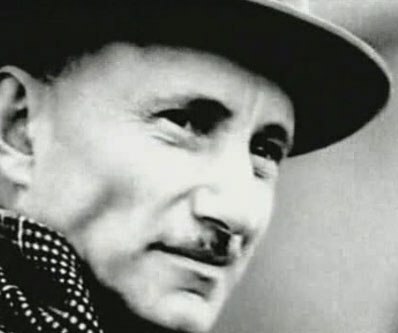 It is certainly difficult to doubt the genuine sentiment of his loyalty to the socialist ideal, as well as his desire to match it to the Soviet reality or even official Soviet mythology. But how successful that match is in the end result is another matter. By 1969 Gerasimov was already a cinema legend. He has been making acclaimed films since the 1930’s and was teaching at VGIK (which now bears his name) since the 1940’s. Some of the biggest names in Russian cinema came out of his studio: Nonna Mordyukova, Lyudmila Gurchenko, Kira Muratova, to name but a few. He was a director of considerable artistic taste, and the restraint and subtlety of his movies often stood out in the sea of the samey, over-the-top, ideologically charged films. Gerasimov’s directing style was always characterised by the emphasis he put on the work with his actors. He was absolutely an actor’s director, and you can always rely on his films to deliver in-depth character exploration and quality, when not simply great, performances. He would often invite young people from his studio, unknown at the time, to take lead roles in his movies and would thus ‘discover’ new talents. The full list of such ‘discoveries’ is truly remarkable. Those choices also paid off when it came to creating an excited, friendly and eager atmosphere during the shoot, and it certainly shows. Young talents do give their all in Gerasimov’s films and such performances often count as some of the best in the long distinguished careers of these actors. Gerasimov was an enthusiast, an active participant in the cinematic process, a tireless promoter of that most collaborative of all arts, and everyone’s friend. He was also somewhat of an idealistic preacher, a moralising and slightly patronising figure, which often makes up for the irritating and easy to criticise aspects of his movies. However, when the shockingly innovative and honest Commissar (“Комиссар”, 1967) received the most damning verdict from the censor and its director Aleksandr Askoldov lost his job, was expelled from the Communist Party and charged with ‘social parasitism’, while all the copies of the film were ordered to be destroyed, Gerasimov ignored the order and hid a copy in his safe. It was discovered after his death in 1985, and became one of the biggest cinematic bombs of the Perestroika period, as well as the universally acknowledged masterpiece of Russian filmmaking. This story reveals the genuine moral edge Gerasimov had and marks the boundary of his loyalty to the regime. 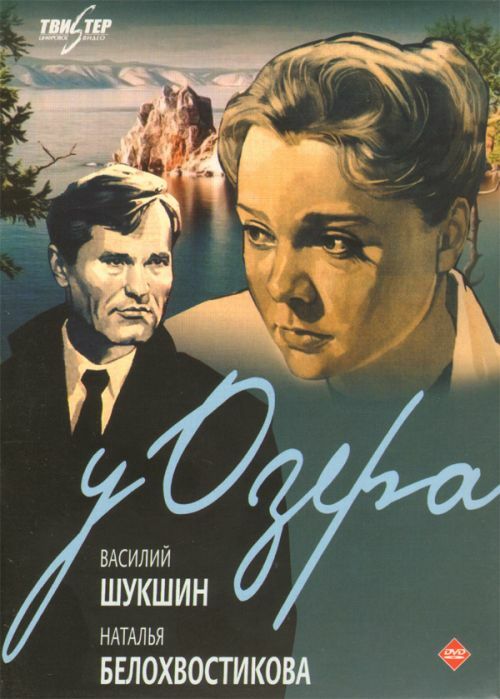 By the Lake is part of what the director referred to as his trilogy, the other two films being The Journalist (“Журналист”, 1967) and The Love of Mankind (“Любить человека”, 1973). It is a trilogy in a rather loose sense, although the first two instalments share a character – young newspaper journalist Valya – and the three films are bound together by being about people of the 1960’s, and therefore explore some of the same themes. By the Lake is set in Siberia and the ‘lake’ here is nothing less than Lake Baikal, while the main conflict of the film is that between man and nature. Or to be more precise, the film shows the way that conflict is perceived by modern ‘men’, something that is as much, if not more, relevant today as it was back in the 60’s. At the centre of the story is the building of a celluloid factory on the shores of Baikal, which threatens to pollute its unique waters. People who push the project forward argue that the development of progressive Soviet technology will soon allow to turn the factory waste into wonderful clean stuff, while the benefits of the factory for the Soviet people will be immense. Those on the opposite side of the debate are having none of it. In the middle is comrade Chernykh, a born and raised Siberian, a good man and a philosophically inclined head of the project who battles the moral battle within: the industrial might of the Soviet Union or the conservation of nature’s treasure? That is the question. Chernykh is played by Vasily Shukshin, a fascinating and unique figure in Soviet cinema and literature. A peasant from the Altay region in Central Asia he applied and managed to get on a course at the director’s department at VGIK at a time when the system did its best to prevent peasants from leaving their collective farms, an achievement in itself. He studied in the same year as Andrey Tarkovsky (there was much mutual respect, from what I hear) and eventually conquered the world of Soviet cinema with his acting and directing works. He later gained even more success as a writer, and his tragic death in 1974 ultimately turned the man into the myth and the legend. Shukshin is perfect for the role of Chernykh, and without taking anything away from his talents, he had never played against type: noble in his aspirations, but troubled salt-of-the-earth man. Women always swoon, of course. In By the Lake the woman in question is Lena Barmina, played by oh-so-youthful Natalya Belokhvostikova, fresh out of Gerasimov’s acting studio. Lena idolises her father, who is a biologist and a Siberia and Lake Baikal fanatic, distrustful of anything and anyone related to the evil factory. Lena and her father are representatives of Siberian intelligentsia, the descendants of the Decembrists, aristocratic officers exiled to Siberia after their anti-Tsarist revolt in 1825. Lena’s family has gathered enough of a book collection to open a local library which she runs and thus contributes to the Soviet project. She is a stern, I would say almost stubborn, character, with strong ideals and convictions, which contrast with her gentle youthful looks and create a very appealing protagonist. Belokhvostikova’s debut is absolutely worth all the praise. The love line in the film is as subtle and understated – but no less heartbreaking because of it – as we’d want from a Sergey Gerasimov film. It is of The Remains of the Day type, where barely anything is said, but all is there in its intensity. A happy ending is not to be expected: Chernykh is married, Lena is too stern to give her love to anybody else (despite quite a considerable queue), the factory is built, young dreams are shattered, she leaves Baikal. The lack of happy ending was not unusual for Soviet films of the post-Stalin years. The theme of shattered young dreams first appeared in Russian cinema in the late 50’s early 60’s on the wave of Khruschev’s Thaw. There was a social demand for more honesty in artistic expression and it is no surprise that the Thaw is considered something of a high point in Soviet art. It did not last long as the establishment cracked down on ‘honesty’ after Khruschev was removed, and Brezhnev took his place in 1965. But in many ways there was already no way back, as the generation of artists eager to ask moral questions in their art was already formed. However it is still rather interesting to see such a bleak picture from one of the directors of the old school, and a loyal and idealistic one at that. In my opinion it makes By the Lake all the more powerful because of it. Gerasimov certainly attempts to add a high note of Soviet pathos here and there, but as I suggested at the beginning, this match of the director’s genuine sentiment with the official myth is not a successful one. These are the ‘wooden’ moments in the film, they fall completely flat and at one such point I felt rather embarrassed. But these points do stand out overall, and I am inclined to forgive them to Gerasimov. They do not take away an original narrative style with complex mix of flashbacks and the breaking of the fourth wall, which took me completely by surprise, and I am yet to see an earlier use of it Russian cinema. It works beautifully too, especially in a gorgeous scene in which Lena storms down a beach after having found out something infuriating and heartbreaking. She is talking to the camera, strong wind blows her hair, dark clouds above… it reminded me of the beach scenes in The Seventh Seal and the video for Coldplay’s Yellow at the same time (not to compare Coldplay & Bergman, of course). By the Lake is full of such unexpected treasures, nice surprises which reveal a truly exciting visionary, albeit one caught in a system which he felt he had to honour. But to me, the artist’s inner battle between his creative drive and the regime spilled out on a screen like that is what is so endlessly fascinating about Soviet cinema of the period. It makes the breakthroughs of the artist’s voice all the more exhilarating. Apologies for taking ages to reply. I’ve had a look around and unfortunately it looks like it’s never been subtitled, which is a real shame. Hi! I’m very interested in this film! Do you have access to the script or to subtitled version (English)? I find it difficult to understand. Hi Jack! Apologies for the late reply on this. I’m afraid I don’t know if the subtitled version of this even exists. I certainly haven’t come across one.